A visitor to Home Air Purifier Expert.com wrote: "I'm very happy to have run across your website as I was trying to find out what chemicals are in Downy fabric softener sheets and what the potential damage of these chemicals is. Our next-door neighbor does laundry EVERY day and uses Downy. The sickening sweet stench from this product suffuses our yard and patio and drives us in the house where we have to keep the doors closed. The stink is nauseating but the worst consequence is that our grand-daughter, who has multiple chemical sensitivities, cannot come over. So far our neighbors are continuing to use it daily despite our requests. It would help our argument a great deal if I could give them some evidence that the chemicals might also damage them. Thank you for any help." 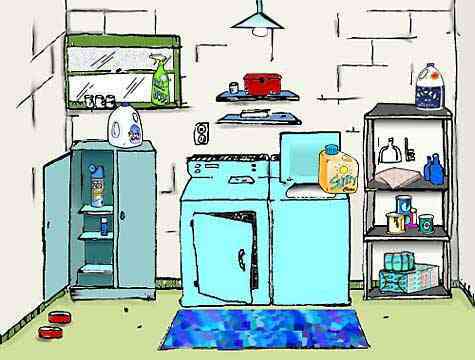 Thank you for your question about the dangers of fabric softeners and dryer sheets. Indeed, there is much evidence of people having a reaction to fabric softener such as rash and respiratory difficulty. I did some research using the NIH's Household Products Database to try and find out any specific harmful ingredients in Downey Fabric Softener Sheets which are manufactured by Procter & Gamble. Below is an excerpt from the general Material Safety Data Sheet for Downy Fabric Softener. Manufacturer: Procter & Gamble Co. Eye Contact: Mild eye irritant. Instillation into the eye may result in transient superficial effects similar to those produced by mild toilet soap. Skin Contact: Mild skin irritant. Prolonged skin contact may result in transient superficial effects similar to those produced by mild toilet soap. Ingestion: Oral ingestion may result in mild gastrointestinal irritation with nausea, vomiting or diarrhea. Ingestion of used or unused sheet by a young child or household pet may lead to impaction of the gastrointestinal tract. A physician or veterinarian should be contacted. Carcinogenicity: The manufacturer's Material Safety Data Sheet (MSDS) provides no information about carcinogenicity. Here is the Downy liquid fabric softener website contact page by Procter and Gamble Co. in case you'd like to contact them directly with any questions or concerns about their Downy products. Note: All Trade Names and Brand Names mentioned are trademarks of their respective holders. There is nothing really alarming that jumps out at me. It's all pretty generic. Often times specific ingredients are not listed for household products, as seems to be the case here. Many times chemical ingredients fall under the broad umbrella of the "trade secret" classification, thus you will be hard pressed to identify them specifically. "Biodegradeable Fabric Softening Agents", "fragrances", and "perfumed" are terms general in nature and usually indicate a cocktail of specific chemical compounds which may be the main culprits for any fabric softener health risks such as fragrance allergy or allergic skin rash. Alpha-TERPINEOL -- Causes Central Nervous System (CNS) disorders ... "highly irritating to mucous membranes"... "Aspiration into the lungs can produce pneumonitis or even fatal edema." Can also cause "excitement, ataxia (loss of muscular coordination), hypothermia, CNS and respiratory depression, and headache." "Prevent repeated or prolonged skin contact." CAMPHOR -- Causes CNS disorders. On EPA's Hazardous Waste list. Symptoms: "local irritant and CNS stimulant" ..."readily absorbed through body tissues" ..."irritation of eyes, nose and throat" ..."dizziness, confusion, nausea, twitching muscles and convulsions." "Avoid inhalation of vapors." CHLOROFORM -- Neurotoxic. Anesthetic. Carcinogenic. On EPA's Hazardous Waste list. "Avoid contact with eyes, skin, clothing. Do not breathe vapors ... Inhalation of vapors may cause headache, nausea, vomiting, dizziness, drowsiness, irritation of respiratory tract and loss of consciousness." "Inhalation can be fatal." "Chronic effects of overexposure may include kidney and/or liver damage." "Medical conditions generally aggravated by exposure: kidney disorders, liver disorders, heart disorders, skin disorders." "Conditions to avoid: HEAT..." Listed on California's Propostion 65. LIMONENE -- Carcinogenic. "Prevent its contact with skin or eyes because it is an irritant and sensitizer." "Always wash thoroughly after using this material and before eating, drinking, ...applying cosmetics. Do not inhale limonene vapor." LINALOOL -- Narcotic. Causes CNS disorders. ..."respiratory disturbances" ... "Attracts bees." "In animal tests: ataxic gait, reduced spontaneous motor activity and depression ... depressed heart activity ... development of respiratory disturbances leading to death." PENTANE -- "Danger -- Harmful if inhaled; extremely flammable. Keep away from heat and Avoid breathing vapor." "Inhalation of vapors may cause headache, nausea, vomiting, dizziness, drowsiness, irritation of respiratory tract and loss of consciousness. Repeated inhalation of vapors may cause central nervous system depression. Contact can cause eye irritation. Prolonged exposure may cause dermatitis (skin rash)." As far as the actual product package labeling goes, the United States of America Federal Code of Regulations (USA CFR: Section 1910.1200C, Title 29, Section 1500.82 2Q1A) exempts manufacturers from full labeling of products if used for personal, family or household care. So keep that in mind when trying to determine the hazards of other household products as well. They often don't make it easy. Bottom line though, no matter what a corporation tells you (or doesn't because they don't have too), I've learned to err on the side of caution by eliminating potentially toxic store-bought products and replacing them with safer natural alternatives. I enjoy saving money while preserving my health and helping the environment by making my own super cheap safer alternatives. Here is my extensive FREE list of home made recipes for common household products such as laundry detergent and fabric softener. Home made fabric softener and dryer sheets can be easily and cheaply made from basic safe building blocks like vinegar and natural scented oils. A few balls of aluminum foil put in the dryer with clothes will remove static cling (the metal disappates the charges which build up from the friction between fabrics as they tumble in the dryer). Home Physics, you gotta love it! It really works. I have an old dryer so don't worry too much about scratches inside which is already worn. But if you are worried about possible scratches in your clothes dryer you may prefer softer alternatives such as the wool dryer balls (see products featured below). You can also add some vinegar to the final rinse cycle. No the clothes will not smell like vinegar when done washing. But for extra scent you can also add 10-20 drops of essential oils like eucalyptus, frankincense, lemon, or lavender. The vinegar will greatly reduce leftover soap residues in clothes after washing, thus making them softer. Use a cup of vinegar in the rinse and a 1/2 cup of baking soda in the wash with detergent. It makes the clothes soft and more absorbant because they don't have the soap residues that cause fabrics to be stiffer. Also abscent will be the wax residues from store-bought fabric softener that usually ends up coating fibers. Yet another homemade fabric softener recipe: In a recycled gallon sized vinegar Jug combine 2 cups baking soda and 2 cups distilled white vinegar. When mixture finishes foaming add 4 cups of hot water and essential oils to desired strength - 20 drops each of lavender and lemon works well. Shake before each use and add about 1 cup for large loads in the rinse cycle. Scientists are now discovering much evidence to suggest that synergistic toxicological effects may result when the complex Biochemical pathways of the human metabolism are disrupted by even trace level chemical exposures. Accumulating body burdens of multitudes of man-made chemical compounds found in many common household products, such as fabric softeners and laundry detergent, can wreak cellular, neurological, genomic, and hormonal havoc. The biological damage from absorbed chemical contaminants is said to be "synergistic" because toxicological studies are increasingly proving the long-term harmful effects may be worse than the sum of the effects of the parts. A good example - the mysterious modern-day epidemics of Autism in children, or breast cancer in women, and prostate cancer in men. All of these chronic diseases are increasingly being linked to environmental causes such as multiple chemical exposures and the complex interactions (such as endocrine disruption) they produce in the human body. It's too bad most people (your neighbors included) have not yet caught on to how important it is to eliminate all potentially toxic man-made chemical "convenience products" whenever practical. And that means most store-bought household chemical products in my opinion. Downy Fabric Softener Sheets is an excellent example of a product that is not needed - a chemical-based convenience product that can and I believe should be eliminated to save money and help create a healthy home environment. However, it's always a difficult situation when you share air with others who are apathetic about the chemicals they may be introducing into the environment. Every product we buy has a long chain of environmental and health consequences, from the cradle to the grave. In the world of corporations the environmental and health consequences are able to be largely shunted onto the public's back. This is called "externalizing costs" and is often not done quite so mindlessly or innocently by those corporations - especially given an intent focus on the bottom line and an existence solely for profit. Don't get me started on our disgustingly corrupt US government of by and for billionaires! Two of my pet peeves on a local level are trash burning and pesticides/fertilizers used liberally by farmers and most homeowners for their crops, lawns and gardens. I've worked in the lawn and garden chemical industry and witnessed first-hand the millions of tons of toxic compounds homeowners and farmers carelessly saturate the land and waterways with annually. It does not at all surprise me to see growing instances of huge dead zones forming in the Gulf of Mexico and other parts of the oceans due to the poisonous chemical run-off. I once got a very serious case of chemical-induced Bronchitis or Pneumonia (the sickest I've ever been in my whole life). My illness was a result of my neighbors burning a large pile of plastic Halloween decorations and other trash 30 feet from the side of my house during a particularly stagnant weather pattern (foggy with no wind and sinking air). The poisonous fumes and burnt plastic smell filled the neighborhood air, including that in my home. The putrid chemical odor was likely laden with Benzene, Styrene Oxide, Polycyclic Aromatic Hydrocarbons, Formaldehyde, Furans, Carbon Monoxide, and worst of all Dioxins (one of the most toxic substances known to science). Those are just a few of the highly poisonous air pollutants given off when plastics are burned. I would have said something to the careless young neighbors, but I try to avoid conflict and didn't want to spark a possible feud with people I was stuck next door to at the time. Thankfully I've since been able to move to a better neighborhood with an Association and property restrictions. I had wrongly assumed the burned plastic fumes would clear out and not fill my home. But this, my first home, was cheaply built and had no "house wrap" vapor barrier installed between the wall boards and the outermost vinyl siding. So outside moisture and gases could diffuse inside through the wall OSB boards more easily compared to a home wrapped with something like Tyvek wrap. Unfortunately the foggy weather pattern kept my home bathed in the fumes all night and I inhaled the airborne toxins deeply into my lungs, thus likely absorbing them into my bloodstream as I slept. The next morning while trying to get ready for work I was so ill I passed out on the bathroom floor and woke up about ten minutes later in a cold sweat! It was pretty scary for someone who's always been in good health. I'm 100% sure it was the plastic fumes that caused this quick onset illness. I've heard similar stories from two people who stored extra Tupperware and other plastic containers in their stoves, and forgot it was there when they later turned the stove on to preheat. Umm...umm. Baked plastic and lots of poisonous smoke! Talk about ruining a day. One was having a family reunion and the house was rendered unusable for about a week due to lingering odors. Houses can become severely contaminated by the resulting plastic chemical fumes and it doesn't take much of the inhalation hazard to put people in the hospital, especially children, the elderly, or anyone with an existing health condition. And like kids, pets also have smaller body masses and higher rates of respiration, so they have less capacity to handle toxic exposures and can succumb to toxic effects sooner. The morning of my plastic poisoning I should have went to the hospital, but there was no one to cover my weekend shift. So I had an absolutely miserable day with severe sinusitis, migraine, soar throat, persistent cough, aching bones, and extreme fatigue. I was stumbling around this huge and dangerous industrial lab, running the busy shift myself. Luckily my flu-like symptoms subsided after a few days. I think someone of lesser health, such as my dad who suffers from the final stages of Chronic Obstructive Pulmonary Disorder + congestive heart failure, might have been killed by all those chemical gases I must have been inhaling during that stagnant Halloween night. Even normal late summer air pollution (high ground level Ozone, ect) has put him in the hospital. I hate to imagine how the melted plastic fumes I inhaled might have affected his already poor health. I don't think he would have survived, I really don't. As the number of people with COPD quickly rises around the globe, local pollution spikes will increasingly become a larger concern amid a growing backdrop of urban air pollution. We have already gotten used to seeing regular reports and images of thick brown China air pollution blocking out the sun and affecting the health and likely shortening the lives of tens of millions of people. This pollution encircles the globe setting the backdrop of a wider problem. But urban and industrial pollution aside, trash burning and other local sources of air pollution is a very serious local air quality issue adding to the broader air pollution problems. But local complaints are still often not taken very seriously. By the way, trash burning is one of the tell tale signs law enforcement officers, ATF and DEA agents are trained to look for as an indicator of a possible Meth labs since meth cooks tend to be paranoid and don't want the empty meth ingredient packages (like cold medicine boxes) to be found by anyone. So they often burn their trash on their properties and dispose of the toxic by-products and containers in ways which contaminate the environment. If you notice a neighbor always burning their own trash, and notice strange chemical odors such as an ammonia-like smell (often described as a "cat pee odor"), then consider calling your local police department or the crime-stoppers hotline to have the property flagged to be checked out. I live in the South and I've seen many likely home Meth labs. Common tell tale signs of Meth production is often excessive security measures around properties, peculiar activity at odd hours around the property, and owners often burning or burying their trash in the yard. The environmental abuses are often what leads authorities to meth lab properties. If you suspect their is a Meth house in your neighborhood, report it immediately because Meth explosions and fires are a common hazard and have been known to severely damage multiple houses nearby. Meth precursors and ingredients are so volatile and poisonous that entire homes are rendered unlivable by the fumes and residues that often contaminate most indoor surfaces. The problem is so big that in some Methamphetamine lab hot zones, real-estate transactions may also involve using a Meth house testing kit to protect potential buyers of former home Meth labs or to assure complete remediation after a Meth house clean-up. Specially trained and certified Meth lab cleanup teams are often the only ones who can safely perform Meth house decontamination, if it's even possible. Water pollution from the chemical laden trash piles is another very common problem of Meth labs. I can relate to all the people who get sick from the fragrance of laundry detergents, fabric softeners, and dryer sheets. I also get ill from my parents sickening Downy fabric softener odor which I can smell all through their house. I can often smell and taste the sickeningly sweet odor even in freezer food, left-overs, and hand-me-downs my parents have given me from time to time. The softener fragrance molecules seem to permeate through Ziplock bags and even cling to the inside of plastic and glass food storage jars. I can smell it on everything from their home. When I smell and taste it in food it makes my stomach turn and I have no choice but to dispose of it. I often worry about how much of these chemicals they and their pets are absorbing. Their freezer is in a very tight laundry room right next to the clothes dryer. So I am pretty sure the Downy fumes are getting into the freezer and absorbing into the food. I have a very good sense of smell. To me the scent and taste is pretty obvious. Their dryer also vents to the back porch and the thick fumes permeate the poor old outside cat's bedding area. I try to tell my parents the concentrated fumes are definitely not good for the cat. But they are older and even little changes are big inconveniences to them. Plus my parents could not care less about the hazards of chemicals even though healthcare professionals all recommend households with COPD patients should go chemical-free. My mother also refuses to stop using those super toxic plug-in air fresheners plus her copious amounts of perfume (loaded with neurotoxic solvents) which aggravate my allergies. Throughout their home I could probably count a few hundred different toxic chemical products in just about every room, many of which clearly are releasing fumes into their living space. I have tried to run the below air quality test in their home to help them understand based on accredited lab results. But my parents get upset even at my offer for a free home air check:^\ They don't even want to know. Beside my own family's mindless chemical over-usage, the above described burnt plastic fume incident was yet another turning point for me and for my acute awareness of the dangers of airborne toxins. And now I won't hesitate to put my foot down if neighbors cross the line. I would still try to avoid direct conflict though, opting instead to diplomatically get advice or assistance from local authorities, such as my state's DHEC office, in a way that hopefully does not put the person on the defensive or create deep resentment. This is often not easy I know. Many people lack the understanding, and thus empathy, to care how their actions might affect others. I'd first document the problem if possible (see below test kit link), otherwise people have the tendency to be very dismissive of unproven claims of toxic substance exposure. Many people, like my parents, can't even smell concentrated chemical odors due to lifelong damage to their sense of smell. In my parents' case lack of ability to smell is a combination of age, damage from a life of smoking (dad), tons of poorly ventilated painting jobs every few years using that horribly nostril-scorching "Kilz" paint (which I really hated dealing with as a kid), indoor over-use of solvents, frequent renovations, and just generally over-using and poor storage of powerful chemical products such as fabric softeners, detergents, aerosols, chlorine pool tablets, and cleaning agents. The things in my parent's home which often make me nauseous, such as the Downy fabric softener and an attached "Tool room" filled with paint fumes, are completely undetectable to them. They get really aggravated when I try to point out how the fumes are clearly seeping into the main living space and probably makes my dad's COPD worse. They often say it's all in my head because they can't even smell the very obvious thick chemical odors. But other non-smokers have verified what I try to tell them about strong chemical smells. But my parents are old-fashioned and often in denial I think. It's very common in these cases. Usually people don't become concerned until serious damage is done. Their sensory damage aside, I often think it's part of the generational brainwashing of the "better living through modern chemistry" era plus false beliefs in "Big Brother" protecting citizens from product hazards...a complete myth since most consumer product chemical ingredients don't get proper toxicological testing. Often local ordinances don't offer much protection from such "small-scale", non-industrial point of source emissions, such as produced by the above described laundry happy neighbors. However, regulations have in the last several years been strengthened in some areas because studies have shown that emissions from common household products is often second only to tail-pipe emissions for contributing to urban smog formation. The main culprits are fluorocarbons, ethanol, butane, acetone, phenols and xylene. As far as your neighbors' chemical use goes, you can be sure there is nothing in this or any other cleaning, laundry, ect product that will benefit you if you breath the fumes from them - as your grand daughter can attest based on the fabric softener effects on her. Any reaction to Downy fabric softener is likely an indication of a sensitivity to one or more of its chemical ingredients - whether the MSDS verifies it's there or not, or hazardous or not. You should ask your neighbors if they have ever suffered from symptoms like burning eyes, dry cough, sinus irritation, or headache that seems to go away when they leave their house. If so they may be suffering from Sick Building Syndrome, possibly one of the dangers of fabric softeners and dryer sheets being extensively used by them. I was recently contacted by a woman who became so sick from fabric softener sheets she was admitted into the hospital and continued to have on-going chemical sensitivity problems within her home. She was convinced her severe symptoms were related to the residual odors and chemicals from the boxes of dryer sheets she had used. She had vigorously applied the unfortunately common home remedy of placing a bunch of fabric softener sheets around her home to deter pests such as mice. Evidently the persistent chemical residues and fragrance compounds continued to cause on-going sensitivity even well after the sheets were removed, the area was cleaned, and the home ventilated with outside air. Just goes to show how toxic these compounds can be to some more sensitive individuals. But symptoms or not, it's likely everyone suffers negative bodily effects to some extent or another. I've also heard from many homeowners who zealously applied the very dangerous and ill advised mothball "remedy" for deterring pests such as rodents or bats from attics. These homeowners also ended up with severe health consequences and contaminated insulation, ect. These volatile organic chemical fumes from old-fashioned products, like very toxic mothballs, can permeate structural components of your home, thus producing slow-release sources inside. Note: If you suspect any sort of chemical gases (such as Volatile Organic Compounds or Formaldehyde) or fear other forms of contamination in your home (such as from cigarettes, exhaust, or toxic black mold colonies and their mold spores), do what the above woman and many other visitors to this site did to help document and correct the problem - get what my research proves is the best diy indoor air quality test kit. This professional-grade kit will help you easily test for hundreds of compounds, and identify possible sources to remove in order to cure building-related illnesses in the most affordable way. I've arranged a special direct from manufacturer deal. And the test is very simple to run. No middle-man markup and no high-priced indoor air quality expert required for this extremely wide scope of chemical gas testing. You just flip a switch and send the kit back to the accredited lab who provides an easy to understand report in a few days. All is included. I don't blame you for your frustration especially given your grand daughter's Multiple Chemical Sensitivities. People with MCS are like chemical Mine Canaries and react to much lower levels of harmful chemicals in the air than most people. If you want assistance in mitigating the airborne fumes I would consider contacting your local government offices which are listed in the phone book. A complaint can also be filed with your local Air Quality Management or Air Resources agencies in your area. Or contact your state or territory Health and Environmental Agencies. You can also use the EPA tip form to report the illegal use of a pesticide, or another possible violation of environmental laws or regulations. The EPA can determine if an environmental violation was made, and give you contacts for more information about the other routes of action you may be able to take. If your neighbors are conducting non-permitted industrial activity, the EPA will help. There may also be local ordinances or zoning regulations that may offer protection if they are trying to run a laundry business in a residential neighborhood, for example. I am curious to know why they are washing clothes every day? They are either living a very wasteful lifestyle or they are operating a laundering business out of their home. Either way, the dryer exhaust may be a problem for more than just your family. There is power in numbers, so another suggestion might be to find others in the area who have complaints about those same dryer fumes and fragrance odors. Form a coalition of those who may help to "air their dirty laundry". To report what you feel may be an unsafe product based on any symptoms, I also encourage you to file a statement at the Consumer Product Safety Commission's website. The CPSC is interested to know about the public's complaints about fabric softeners and may also direct you to helpful resources. Update: the CPSC now directs you to file an unsafe product report using this form on SaferProducts.gov. PERC (Perchloroethylene, used in dry cleaning), petroleum derived cleaning chemicals, and household chemical fragrances from laundry mats and dry cleaning facilities has become a growing public health concern. The dryer exhaust from laundrymats, dry cleaning businesses, and local laundry cleaners has been known to permeate entire neighborhoods causing health problems for those with respiratory illnesses, Multiple Chemical Sensitivity, fragrance allergies, and Asthma. Your family is not alone. One last tip. If a fabric softening product is sold as "Green", it MUST NOT CONTAIN PETROCHEMICAL-DERIVED FRAGRANCE. So maybe you could drop your neighbors a eco-freindly hint or get them a sample of "green fabric softener" to show how serious you are about this problem. I hope this information helps you reduce the fabric softener dangers so your grand daughter and others can breathe easier. Don't hesitate to let me know if you need any further assistance. Look for certification by independent testing or review organizations which test to assure products are safer for your health and the health of the environment. Just because a product's label includes the buzzword "Green" does not necessarily mean it is certified as being a healthier or more environmentally friendly alternative. See #1 above. Check to see if Green Cleaners and other Green household products have been tested to assure they have met minimum performance standards for their intended use cases. Despite the common assumptions that green products are weaker/less effective, many are proven to be just as effective, or more so, than the more toxic traditional alternatives. Keep in mind that safer eco-friendly fabric softener, dryer sheets, and green cleaners often produce less health risks because they contain less or no toxic chemical fragrances (which are common sources of allergies and chemical sensitivities). But "fragrance-free" detergents, softeners, and cleaners can work just as well as the putrid chemical fragrance filled ones. The fragrances don't mean clean. Clean is odor-free. Fragrance molecules are just another sensory component of corporate marketing to aesthetically geared consumers. Don't get complacent. Even certified green products may still harm health in certain situations. Always read the labels and follow suggested safety precautions and usage/storage/disposal recommendations to protect yourself and others, especially those who may be more vulnerable, such as children and pets. Always wash your hands after using any chemical product. The most common exposure routes are: drinking, eating, and smoking with contaminated hands.